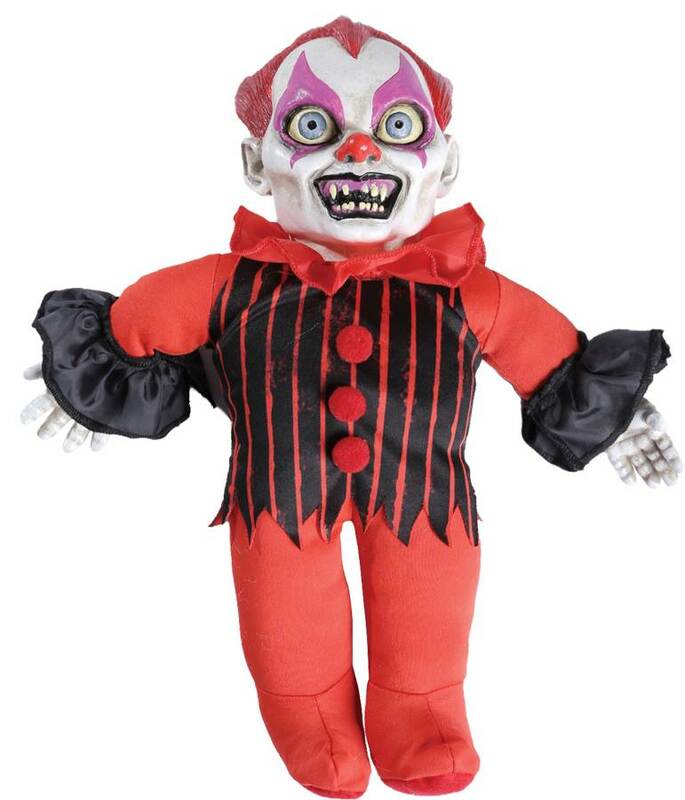 With the push of a button the Haunted Clown Doll emits creepy sounds and speech that will make children and adults scream. The doll is a cloth stuffed body with hard vinyl head, hands and feet. 10'' tall.